Sushi may not be everybody’s cup of tea, but the Japanese delicacy of rice, fish, and vegetables has been gaining unquestionable popularity in Britain over the past few years. With sushi spots now popping up all over the place in the city, it can be a daunting task to settle on one place to tuck into some California rolls with friends. Hopefully, our list of some of the best sushi restaurants in London will make it a little bit easier though, leaving you free to chow down on your favorite Japanese dishes and sip on a bit of Saki. All of our selections are ideally located near to the Park Grand London Lancaster Gate, so why not make a night of it and really let your hair down? Anyone looking to enjoy dinner with a view need look no further than this popular, trendy spot. Located on the 38th floor of the Heron Tower, Sushisamba boasts incredible 360 views of the city against a backdrop of stunning design and music, making this a truly one-of-a-kind dining experience. 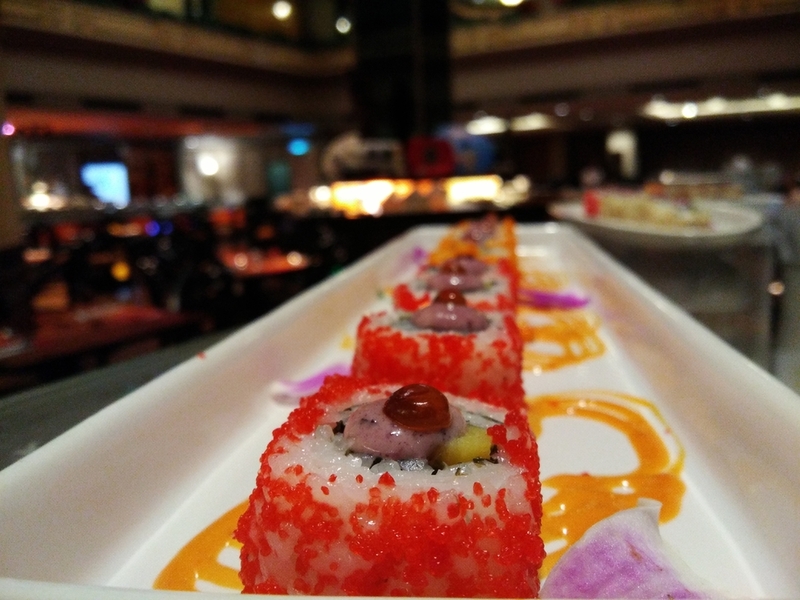 The food may be on the more expensive side, but its unique blend of Japanese, Brazilian and Peruvian cuisine makes it an obvious choice for anyone who isn’t afraid to try something new with their food. Located in Notting Hill, this little gem offers sushi, sashimi and bento boxes all at extremely reasonable prices. With over 40 years’ experience providing traditional Japanese food, you can be sure you are receiving authentic dishes that steer clear of modern trends and gimmicks. One for true Japanese food enthusiasts. This bustling spot situated on Portobello Road is frequented by many celebrities and television personalities, and little wonder. An incredibly lively atmosphere and a fantastic selection of cocktails (be sure to try the fire blossom) make it a great choice for a night out with a bit of added excitement. Don’t let the loud music and flowing alcohol distract you from the main attraction though, the food is second to none. It’s inventive menu fuses Japanese flavours with Italian ingredients to concoct a truly memorable dining experience. Not to be missed! Not feeling like the life and soul of the party? UKAI offers a delivery service, so why not enjoy your meal in the comfort of the Park Grand London Lancaster Gate. Japanese food and cocktails in bed? Just dreamy! This small-scale restaurant is ideal when you’re looking to enjoy a low-key, quiet meal with your other half or friends. The menu is simple and includes some of the finest, carefully sourced ingredients. They also have a menu devised specifically for kids so it’s also a great choice when you have the little ones with you. Boasting the title of Kensington’s longest-standing Japanese restaurant, this spot is a date night delight. The low seating gives it an intimate feel while the mix of traditional and inventive dishes means there is sure to be something for everyone. Share the post "The Best Sushi Bars in London"